Our goal is to bring innovative solutions to the wildlife enthusiast and hunter. The Hot Zone Expansion Kit allows the user to increase the coverage of the protection area for larger food plots. 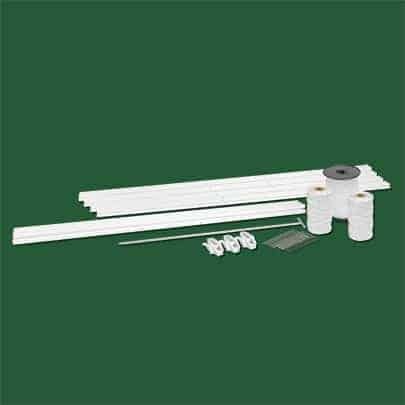 The kit includes everything needed to expand the initial Hot Zone Deer Exclosure: additional wire, tape, tensioners, a ground rod, and a ground rod wire and clamps. The addition of the Expansion Kit to the Original Hot Zone Deer Exclosure System will allow up to 420 yards of perimeter fencing to protect larger areas. When the Expansion Kit is added to the Hot Zone Deer Exclosure some disassembly may be required if the original fence is currently setup. If the original fence is up you will need to unhook the components and the wire/tape of the fence from the corner post. 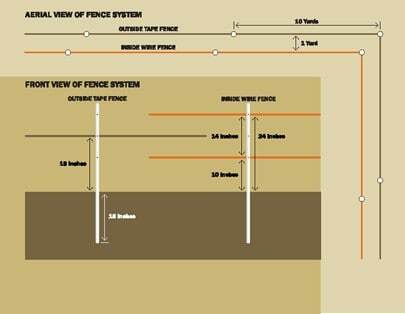 Depending on the shape chosen for the new fence configuration at least one side of poles and wire/tape will have to be removed to open up the protected area for the expansion. Determine the shape of your larger protection area and set your posts evenly in a shape that has 420 yards of perimeter according to the directions above “Setting the Posts” for the Hot Zone Deer Exclosure. The 7/8″ posts should be evenly spaced around the perimeter or can be used in any area needing more stability. After the posts are set, the wire /tape of the new kit can be attached to the original wire and tape to provide 420 yards of perimeter fence. Note: To connect the new wire and tape to the original kit take the two ends side by side and tie them in an over hand knot making sure to leave 2″ of wire as tag ends. Then melt these tag ends and twist them together to make sure there is good conductivity between lines. After the wire/tape are connected, it is ready to be set around the perimeter of posts according to the directions above “Running the Wire/Tape” for the Hot Zone Deer Exclosure. Drive the additional ground rod in the soil approximately 15′ away from the ground rod of the Initial Hot Zone Exclosure system, so the included wire and clamps reach both rods. Then attach clamp to original ground rod, insert wire in clamp and screw clamp down until wire is contained in clamp. Run wire to the new ground rod and repeat. 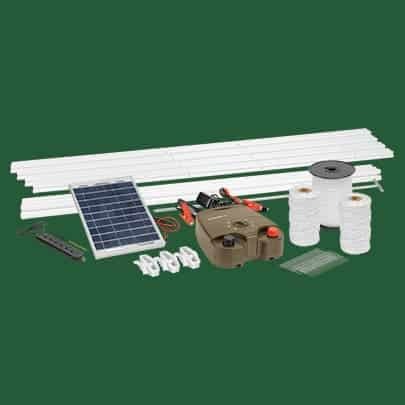 The Hot Zone Expansion Kit allows you to add coverage to your original ½ Acre Kit. Depending on the shape of the food plot the Expansion Kit can increase the total coverage of the Initial Kit to 1.9 – 3.4 acres. The energizer included with the Initial Kit can power expanded systems up to 20 acres. To help with conductivity an additional ground rod is included in each Expansion Kit. 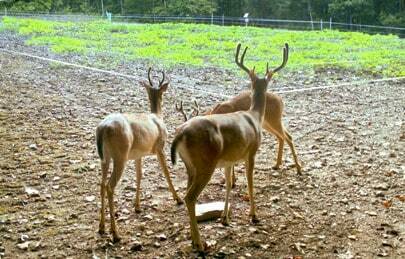 How does the Hot Zone Deer Exclosure System keep deer out the food plot? The Hot Zone Deer Exclosure System’s dual perimeter design is what keeps the deer out of food plots. If the system was just a single row of electric wire or tape a deer could easily jump over it. The dual perimeter forces the deer to get really close to the outer tape to think about jumping both fences or ducking under the tape. At this point the deer comes in contact the outer tape and is shocked and deterred from trying to enter the food plot again. How do I determine how much perimeter fence I need? At the area where you plan on planting a food plot, walk the outer perimeter of the plot area to determine the yardage of perimeter fencing you will need. When walking try to take strides that are 3 feet or 1 yard apart, this makes it easy to calculate the rough amount of perimeter fencing needed. If you have a handheld GPS unit use that as a more precise measurement. Depending on the desired amount, the Initial Hot Zone Deer Exclosure System with 220 yards of perimeter fencing might be enough; if not the Expansion kit can add 200 yards of fencing per kit. 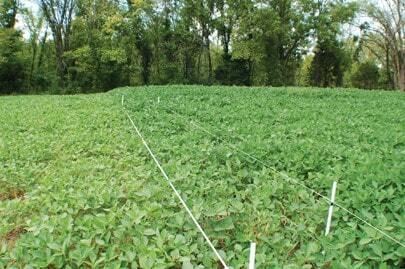 How big of a food plot can I protect? 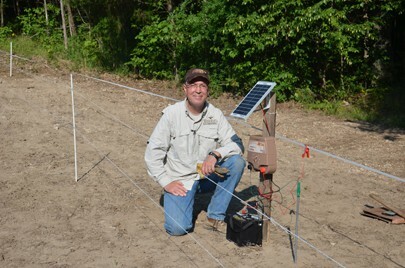 The energizer provided in the Hot Zone Deer Exclosure System can safely and effectively power up to 20 acres of electric fencing, although the initial kit only comes with 220 yards of perimeter fencing, which will protect .39 to .79 acres depending on the shape of the food plot. The addition of one expansion kit will be an extra 200 yards of perimeter fencing and components giving a total of 420 yards of fencing, which will protect 1.9 to 3.4 acres depending on the shape of the food plot. 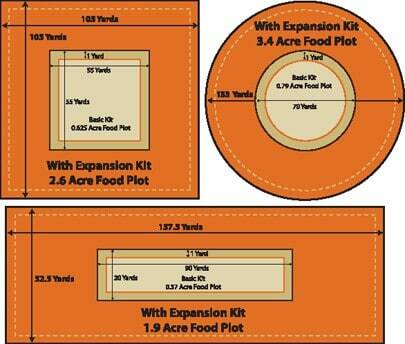 Multiple expansion kits can be added to obtain 20 acres of coverage. When is the best time to put up the Hot Zone Deer Exclosure System? The best time to put up the Hot Zone Deer Exclosure System is right after the food plot is done being planted. 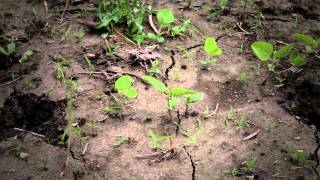 This way the food plot is protected from germination until full maturation. If a deer bites off the head of a 2″ tall soybean plant it could cause severe damage to complete failure of the plant growth compared to a deer eating 2″ off of a fully mature 36″ soybean plant. How do I power my Hot Zone Deer Exclosure? 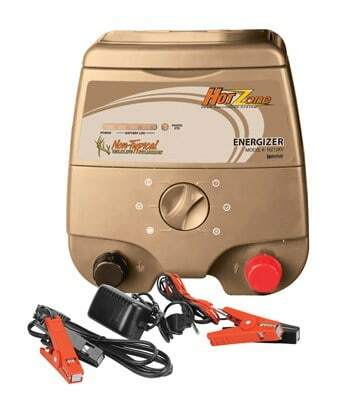 The Hot Zone expansion Kit can powered in one of two ways. Included in the Hot Zone Deer Exclosure System (717100) and The Energizer alone (717133) is a 110AC plug-in and a Battery Clamp plug-in. Only one of these plug-ins can be installed in the energizer at one time. If 110AC is desired, select the plug-in with 110AC plug and insert it in the back of the energizer, then plug into a wall outlet or extension cord that is plugged into a wall outlet. If a battery is desired, select the plug-in with 2 battery clamps and insert it into the back of the energizer. Then Clamp the red clamp to the positive post on the battery and the black clamp on the negative post of the battery. Then take the solar panel clamps and attach the red clamp to the positive post of the battery and the black clamp to the negative post on the battery. The use of the solar panel will keep the battery charged during normal use and your energizer running. Is it okay to add a second energizer to my current electric fence system? No, our energizers are designed for specific voltage and current requirements. Hooking up two or more energizers to the same lines will destroy the energizers. Does it require more voltage to power multiple electric wires and tape over a single electric wire? When you add more wire and tape there is less resistance to current flow. This results in less voltage drop and more shock to the animal. What’s the most common cause of electric fence failures? Most of all electric fence problems can be traced to one of two things, inadequate grounding or vegetation contact with the wires. Your grounding system must have good soil conductivity to work at its best; sometimes an additional ground rod is necessary to provide good conductivity. Vegetation contact with the “hot wires” causes the electric fence system to short and places more draw on your battery causing it drain faster than normal. How do I tell if my system is properly grounded? To check and make sure that your system is properly grounded take the included voltage meter and place the rod in the ground close to the energizer and hook the other end of the voltage meter on a hot wire or tape line. Read and record the voltage reading. Then take the voltage meter on the far side of your electric fence from the energizer and repeat. If the system is properly grounded the voltage reading should be very similar, if there is a large difference the system is not grounded correctly. The addition of another ground rod should help ground the system properly. After an additional ground rod is added, repeat the steps above to verify the system is properly grounded.